Mrs. Oguma, a Wilson certified reading specialist, is a returning staff member to New Way where she had originally completed her student teaching through ASU’s Special Education program and then stayed as a lower school classroom teacher back in the early 1990’s. Since then, she has taught in the field of special education in both Arizona and Southern California. Early on in her career, she felt passionate about the importance of teaching children to become literate members of society and she believes that everyone can learn to read if given the right tools. 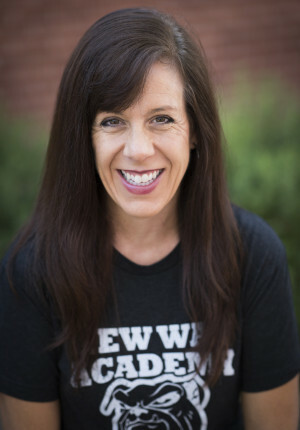 She has an expertise in the use of research-based, Orton-Gillingham phonics programs for students with dyslexia or other reading differences and has utilized these programs in both private reading therapy and public school settings. Laughing is one of Mrs. Oguma’s favorite things to do and she is sure to encourage her student to find humor in the challenges of learning to read and spell the English language. Mrs. Oguma also enjoys the unique challenges and unlimited joys of being a mother of five children. Their homelife is always quite busy, but she still finds time to unwind by dancing at a Zumba class or reading a favorite book.